Liberal Democrats have passed an Emergency Motion at their Spring Conference in York calling on the Government to take urgent action to tackle knife crime by providing funding and support for youth services and protecting children from gang related crime. 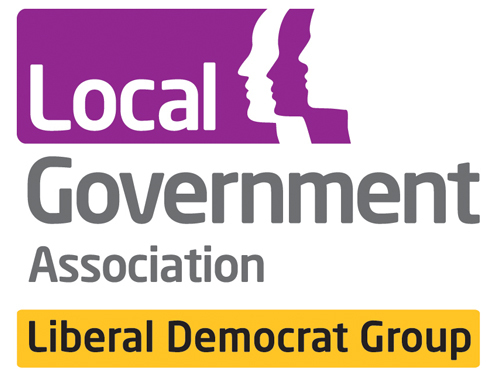 The motion was drafted and seconded by Councillor Lucy Nethsingha, LGA Liberal Democrat spokesperson on Children and Young People and proposed by Councillor Jon Hubbard, lead Liberal Democrat member on the County Councils Network and the LGA Brighter Futures Group; and sponsored by ALDC and local members across the country. Commenting on the motion, Liberal Democrat Councillor Lucy Nethsingha said: “Far too many young lives are being taken by an epidemic of knife crime. Councillor Jon Hubbard, who proposed the motion, added: “But police alone cannot solve this crisis. Conservative cuts to youth services have been a major cause of the rise in knife crime, and the Government must urgently reinvest in these services to help steer young people away from gangs and violence. Following the death of a 14-year-old in London on 8th January and further fatal stabbings since that date, the stabbing of three teenagers in Birmingham within 12 days in February 2019, reports showing that knife crime in 2018 was at the highest level since 2010, and a report by the Children’s Commissioner on 28th February 2019 showing that around 34,000 children are preyed on by “ruthless” criminal gangs. The rise in the number of young people involved in knife crime, with 813 under-18 admitted to hospital with stab wounds in 2017–18, compared to 451 in 2014–15. The rise in the number of young people excluded from school. The impact that high-quality youth work can have in keeping young people in school, and away from the influence of gangs, particularly the gangs involved with County Lines drug dealing. The massive reduction in youth service budgets since 2015. Conference further notes the research evidence showing that having a strong long-term relationship with a trusted adult outside the family or school can have a significant protective effect against mental ill-health, and that youth workers can provide this support. Conference also recognises the need for a public health approach involving all agencies including the NHS and police to tackle the issue of knife crime and the need for cuts to police numbers to be reversed. Conference therefore calls for a major re-investment in youth services, both universal and targeted, with national government making youth services clearly a statutory service, working with local government to develop clear guidance on what councils should be providing, and ensuring there is sufficient grant funding to match that service provision.